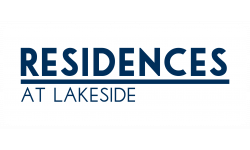 Enjoy the luxurious life at Residences at Lakeside where you will find only the best community and apartment amenities in Lombard! Coming soon you can de-stress in our heated pool with luxurious cabanas, wind down in our game room, or bowl a strike in our two-lane bowling alley. Workout whenever is convenient for you in our 24-hour fitness center, or head over to the volleyball or tennis court to get your workout in. Finally, you and your furry friend can socialize in our on-site bark park! At the end of the day, you can relax in your new home and enjoy the luxurious comforts of stainless steel appliances, in-home washer and dryers, hardwood flooring, and marble countertops. You can also enjoy the surrounding areas views from your own private balcony or patio! Schedule your tour, or apply online today!